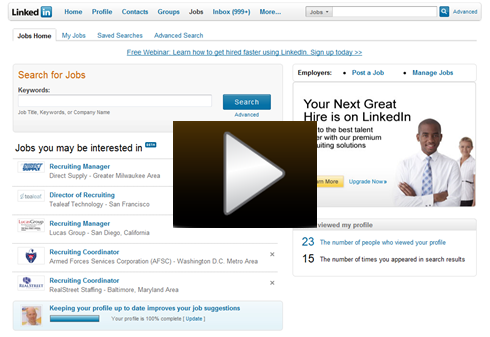 I watched a YouTube video the other day in which someone was charging job seekers for LinkedIn profile optimization. While I appreciate capitalism and don’t fault people for recognizing and seizing an opportunity, I think that in today’s economy, job seekers deserve all of the help they can get, and the currently unemployed certainly don’t need another expense. 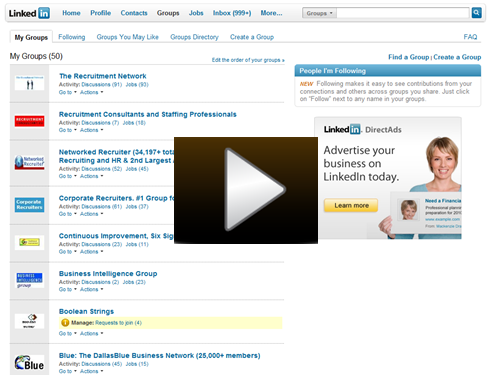 Seeing that YouTube video inspired me to create a series of six videos sharing my knowledge of LinkedIn Groups, Jobs, Companies, profile optimization and Internet research to help people make better use of LinkedIn in their current and future job search efforts. I know quite a bit about LinkedIn, but I don’t claim to be a LinkedIn “expert.” There are quite a few LinkedIn “gurus” online who will teach you how to leverage LinkedIn. 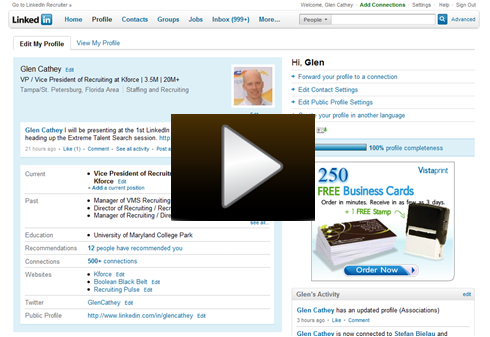 However, unlike many self-proclaimed LinkedIn “gurus,” I actually use LinkedIn daily to find people for recruiting purposes, I train hundreds of recruiters annually on how to use LinkedIn to find candidates, and routinely assist several hundred recruiters nationally and internationally who are using LinkedIn specifically to find talent. While many recruiters know about all of the fantastic services, functionality and features LinkedIn has to offer, I am well aware than the average non-recruiter does not. 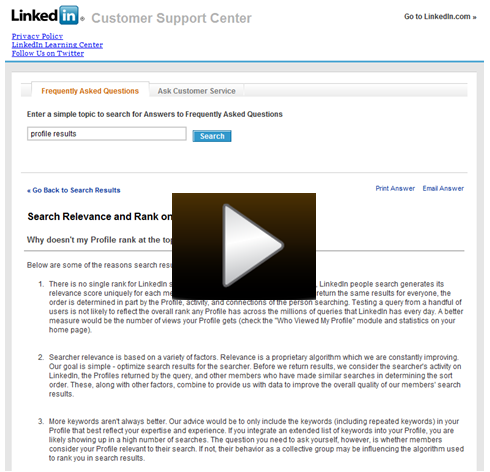 While 30 minutes of video only begins to scratch the surface of what LinkedIn has to offer job seekers, I sincerely hope that the information I have compiled helps you or someone you know in their job search. Please pay it forward and freely share this with anyone who you think might benefit. You can find the answer to why your LinkedIn profile doesn’t rank at the top of search results here. 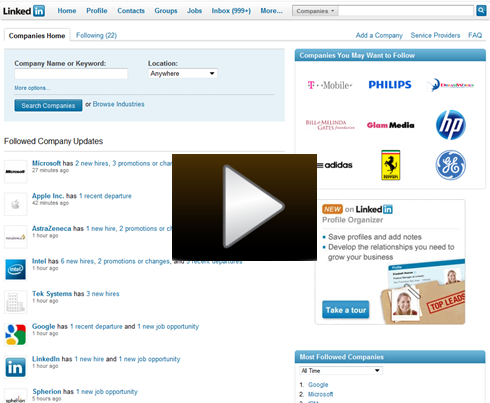 Let me know if there is anything else you would like to know more about when it comes to your LinkedIn profile and using LinkedIn in your job search – I’d be happy to cover it in a future post.